Home » What is “excess internal heat” in Traditional Chinese Medicine? What is “excess internal heat” in Traditional Chinese Medicine? Hong Kong people have a stressful urban life. Long working hours, stress, inadequate sleep are common problems working people face every day. Forget about having fun eating with friends after work because a heavy dinner with beer or wine can make you feel even more exhausted. Do you often feel a lack of energy when exercising or even simply walking up stairs? These are all signs of yin deficiency. If yin deficiency comes together with thirst, mouth dryness, a hoarse voice, hot flashes, fatigue, very yellow urine or constipation, then most probably you are experiencing hyperactivity of fire due to yin deficiency. In Chinese Medicine, when the harmony between the body’s physical form and its functions are disturbed and exhaustion follows, the body cannot recover the flow of chi and production of body fluid. Hyperactivity of fire due to yin deficiency may be the result. It is known as “excess internal heat.” A person may commonly suffer from facial pimples or boils in the mouth at the same time as well as the symptoms listed above . This health problem most probably brings a bad mood to your daily life! 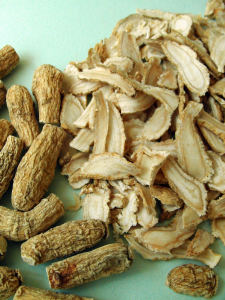 American Ginseng may be a good choice for you to combat these health problems. American Ginseng consists of amino acids, ginsenosides, polysaccharides and trace elements that humans need. Ginsenosides, the major chemical constituents in American ginseng, replenish chi and nourish yin, clear heat and enhance the production of body fluid. It can be used for chi and yin deficiency, internal heat, fire syndrome due to yin deficiency, fatigue, thirst and a dry month. 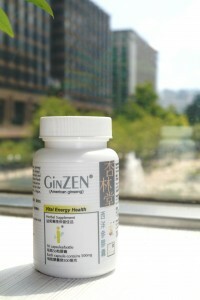 American Ginseng is especially suitable for those office people who have yin deficiency and internal heat constitution.